Whitefriars in Bloom will be formally launched on Saturday, 19 May with a Royal Wedding-themed garden party in Whitefriars Square. The day, which runs from 11am to 4pm, will include a range of free activities, including live jazz, face-painting and refreshments. There will also be plant and craft stalls and a bee display by Canterbury Beekeepers. A former South & South East in Bloom Gold Award winner itself, Whitefriars played a key role in helping the city achieve a double Gold in the Britain in Bloom awards last year, when Canterbury was also representing the region. 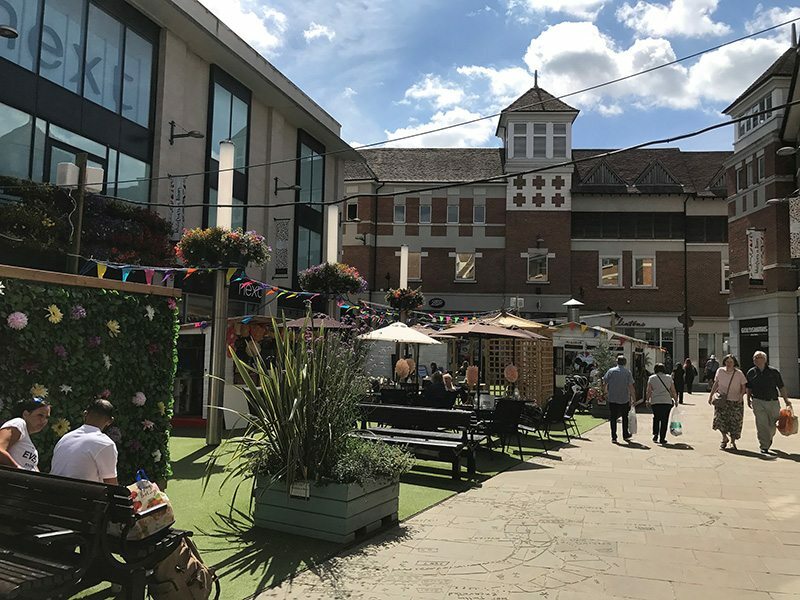 This year, in addition to planters, floral displays and hanging baskets across the centre, Whitefriars will be constructing a new centrepiece pergola in Whitefriars Square which will be used for a range of activities throughout the summer. Once again, Whitefriars will be partnering with local charity The Fifth Trust, which provides fulfilling, work-based opportunities for adults with learning difficulties. The Barham-based charity’s horticulture team and students have designed the floral displays and will be maintaining them throughout the summer using recycled rainwater. Also returning will be the popular ‘reading trees’, where shoppers can sit and relax, pick up a book and swap titles after reading them. Donations of books will be welcomed. Budding artists and photographers are again being invited to join in with Whitefriars in Bloom, with competitions supported by Jessops and Cowling & Wilcox. Some great prizes are up for grabs and winners will be able to see their work displayed around the shopping centre, with colourful photo banners above shops and an art display in the Marlowe Arcade. A host of other fun activities are being planned for the summer, including children’s art and craft workshops, a Father’s Day event, a summer market (from 30 June – 29 July), and more.